Ladies, it’s time to Save the Undies. This might be a TMI post, but it’s a necessary post, as well. I have been a hormonal mess for the majority of my life. I never know what to expect during my time of the month. I know I am not alone, so hopefully this way-too-personal info can help someone out there! Today’s post is sponsored by U by Kotex, but my love for their pads and tampons are all my own. I remember back in health class when we learned about “becoming a woman”. What a monumental time that us girls just couldn’t wait for. Well, that time just unleashed the gates of hormone hell for me. I will skip all the gross details and just sum it up that my period is always a mystery. Sometimes it barely shows up, sometimes it completely skips months, sometimes it almost sends me to the ER, and rarely is it just normal. As I get older, not much as changed. Aunt Flo makes her regular stops, but sometimes she shows up early and gets a running start. At times like these, I need my #UnderWarrior supplies to help #SaveTheUndies! Spring is here, and that means the beginning of a new season for style. Lightweight clothing and lighter colors are in the closet. There’s no room for oopsies when it comes to peek-a-boo periods. I am thankful to have been introduced to U by Kotex® 3D Capture Core technology to help save the undies. U by Kotex® Ultra Thin Pads have 3D Capture Core, a one-of-a-kind center that locks away wetness to help stop leaks. Available in Cleanwear® pads, AllNighter® pads and Security pads. Stop ruining outfits and undies. Wear your clothes with confidence no matter what time of the month. Try U by Kotex® 3D Capture Core for yourself and request a free sample! Click on the “Get Sample” button below and enter your mailing information to get your free samples of U by Kotex®. I hate when I have leaks, so pads with wings are super important to me. I will try these Kotex ones for sure. Prior to having my hysterectomy I wore these. I loved the bright colors. Now I’m just glad I don’t have to worry about the monthly messes. It’s such a great feeling! You feel like such a winner when you save them, that’s for sure! Thanks for the trial link! I never buy white pants. Every time I have, I have spilled something on the, or you can see right through them. Thanks for the free sample! I love their packaging, so cute and bright! I actually do love this line of pads! They are convenient and trustworthy! I really like that they have unscented products. Sometimes I have irritation and need unscented, but it is hard to find brands at nearby stores that offer unscented. I love pulling out the light colored clothes for spring and summer. Actually just bought a pair of white capris yesterday! Thanks for the trial link! The packaging is really spring and upbeat! No one should have to be afraid of wearing light clothes. It’s spring, it’s the best time for light colors! I’ve never been a big fan of pads. They have come a long way though since I stopped wearing them. Oh I remember those days when I was younger. I love the Kotex brand they have always had great protection. I love Kotex. Their brand looks and works great! Period oopsies are the worst! These look great and I have heard good things about them. I might just give them a try. While I am past the pad era, I am so glad that improvements are being made for younger woman. These products by Kotex make sure a difference in your life. I would not wear white with just any pad. 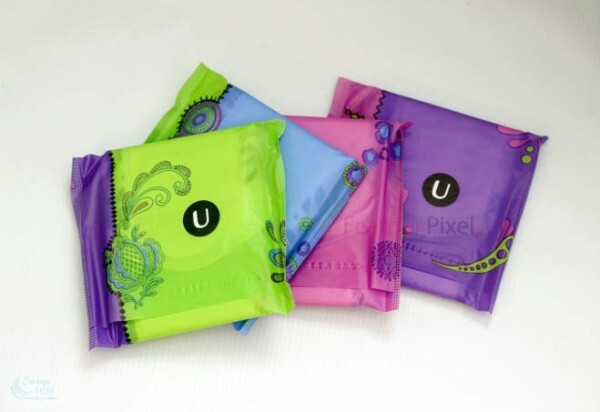 We are a U by Kotex family as they are the best protection we can find. I have always been able to trust the name Kotex. They were always a well known brand for us. I love Kotex! I don’t trust any other brand to make me feel safe during this time of month. I am going to have to give these a try. I haven’t used Kotex products in years. Before I was pregnant these were the brand I used. I love that I never have any leaks. I definitely want peace of mind -I’m as irregular as you described. These sound very dependable and comfortable. I just bought a pair of light pinkish color jeans and I also just had my period so I was afraid to wear them. It may seem like Tmi but it’s what we deal with so we have to get over any hesitation talking about it. I’ll be trying these!